This project started to be a small on site help job for the German contractor of Rational, who brought most materials over from Germany. 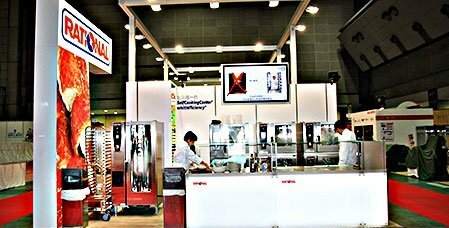 The set up was so successful, that we also got involved in Rational’s show participations in India and China. RATIONAL sees itself as a specialist in hot food preparation in the world’s professional kitchens and looks back at 30 successful years up to now.